In truth, paying homage to Dennis the Menace and Minnie the Minx wasn't exactly our reason for visiting Dundee but it certainly gave me some credibility with my graphic artist nephew! Each year Commissioners and members of the Low Pay Commission executive team go out and visit employers and employees across the UK to hear from them directly. This means that in addition to the economic and research data we see and the formal evidence that's presented to us, we can hear how the Minimum Wage and National Living Wage rates impact people in their own words. The last of our trips this year was to Dundee and so four of us flew up from Stansted last Tuesday night ready for our ten visits on Wednesday and Thursday. Both days started with bright sunshine and the very beautiful vistas of the City's vibrant waterfront. During the course of the two days, we saw employers and representative bodies speaking on behalf of hundreds of thousands of employees and hundreds of business owners. We met with the retail and hospitality trades, farmers, the owners of cleaning companies and hairdressers, financial services, children’s' nurseries, food distributors and property management firms. I was very struck by the real warmth we were greeted by everywhere. People generously gave us a lot of their time and trusted us to see the very guts of how their business finances and operations are being impacted by pay rates. But we also witnessed a lot of emotion. We saw plenty of pride as people told us how they had kept their business going through some fairly tough times - and particularly for the smaller businesses - through some periods of loss as well as profit. And at the same time we also saw a lot of anxiety as people prepared themselves for what they all described as an uncertain future. In the small businesses in particular we saw that fragile profit margins meant that business owners were concerned than any hit to consumer confidence alongside the expected increases in wage rates could bite hard on their very business survival. Our responsibility as Commissioners is to recommend increases as high as we can on Minimum Wage rates so that employment levels don't get damaged in the process. And on the National Living Wage to recommend the trajectory towards the target of a 60% median earnings by 2020. The Chancellor estimated when he announced the introduction of the National Living Wage last year that this would be over £9 in four years’ time for those over 25 years old. 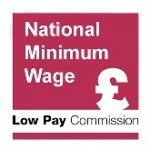 The Low Pay Commission's target is subject to sustained economic growth and the National Living Wage was announced in the context of the forecast of between 10,000 to 120,000 job losses by 2020 (made by the Office for Budget Responsibility in July 2015). Those conditions will in turn provide the context for our recommendations to the Government this autumn. We heard from one trade body that the uncertainty created by the recent referendum on EU membership came at a bad time. The sector had just pulled itself out of a painful period following the banking crisis and was looking forward to a period of growth. Now employers described themselves as being faced with the potential of a further slowdown in investment and sales as a result of Brexit. All the businesses we talked to had accommodated the rates increases this year but some also showed us the very thin profit margins that are so often a feature of businesses employing people predominantly on Minimum and National Living Wage rates. There was also a significant reliance on workers from overseas in hospitality, retail, farming and cleaning and the uncertainty here was also causing concern. There were positive stories too. We heard that businesses are being innovative in how they change their businesses to incorporate higher wages for the lowest paid. One hotel chain was taking out layers of management to invest more in their frontline people and to be more responsive to customers. We heard too about investments in IT systems, in training, in business simplification and in improving what's offered to customers to try and justify a higher price. None of this is easy to do but it should make businesses more resilient and also help to improve the UK's lagging productivity. Doing all this AND improving wage rates for the lowest paid has to be a positive story. Overall, I left Dundee this week with no illusions about what we were being told. There are tough trade-offs to be grappled with as we think about our recommendations in October for politicians on next year's Minimum and National Living Wage rates. We’ve seen recent reports of the number of online job vacancies advertised down by almost a half compared to this time last year, and both consumer and business confidence have taken a hit. But it is still early days and we also have to guard against self-confirming pessimism. No one we talked with had any issues with the commitment to improve the earnings of the lowest paid. The issue we must all face into over coming weeks is - how quickly can increases happen? We will be reviewing all the evidence as it emerges in the coming months to ensure a balanced view. New minimum wage rates for under 25s: why are they different?